I couldn’t have been more surprised that Skybound has a new(ish) subscription – The Megabox! 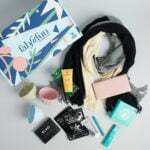 This is actually the third box of this quarterly subscription box (you can spoilers of the previous two boxes on their site). Each delivery includes an exclusive 5″ McFarlane figure along with exclusive comic books, shirts, pins, and more! My first shipment arrived right away – it’s the Summer 2017 box featuring a TON of Walking Dead! You’ll get a brief card that does list out some items in the box but doesn’t show pictures or values. I’ve pulled the value of a similar shirt from the Skybound store – but this is an exclusive variation of the Kingdom shirt! Which faction do you choose? I mean, Ezekiel HAS A TIGER! Now you can rock Shiva, too! The value of this box to you is going to come down to the exclusive McFarlane figure. If you’re a collector, you know EXACTLY what to expect with McFarlane lines – an incredible attention to detail and a perfectly painted and sculpted figure. The box is just a perfect call out to the old G.I. Joe action figure packages! This 80’s flashback set is an SDCC 2017 exclusive set, and I can’t lie, I preordered this a long while ago! But, even with that display set, you don’t get the Jesus figure – it’s exclusive to the Megabox which could make it much more valuable. The figures have a Shiva Force paint decoration to their clothing. McFarlane figure and pretty poseable with a ball joint at the shoulder and a similar ball joint on the elbows. The head and hands are removable – Jesus includes a second head, binoculars, and firearm. Here’s a look at all of the accessories! Shiva Force Tossle Cap – Value $10-15? Expand your Shiva Force clothing wit ha new winter hat! Naturally, it features the patch featuring the famous Tiger. Spice up any shirt or bag with a Shiva Force pin. It features the same logo as the hat and feels like it’s very high quality. Lucille Ballpoint Pen – Value $10-15? There’s no better pen than a Lucille pen! You’ll be writing like a champ in no time with this exclusive greytone black and white pen. I have a mini prop replica greytone Negan bat that looks just like this – but it always makes me think of one of my favorite statues in my collection – the McFarlane Negan statue! Kill The Minotaur + Redneck Exclusive Variant Cover Comics – Value $10-15? The last items in the box are two comics from Skybound’s line with exclusive variant covers. Skybound has some dark and creepy lines for sure – and two are featured here! I love getting new comics to read, so this is a nice little bonus for me! You’ll also get a bonus code for 5 free cards for the Labyrinth card game. Verdict: If you’rea McFarlane figure collector – this is your subscription box! The value for you is really going to come down to how you value the figure – my values add up to around $110, so that’s really good for a $58 box – but it’ll be more of a risk for you if you’re not into other Skybound lines and/or McFarlane Toys. For me, it was a super exciting box and I really cannot wait for more to add to my collection! Cool box. I wish I knew of this box before this one came out. I’ll have to get in on the next one. Yeah, I was surprised I hadn’t heard about it since I’ve bought from the Skyboind store. This one is still available, if you want it.